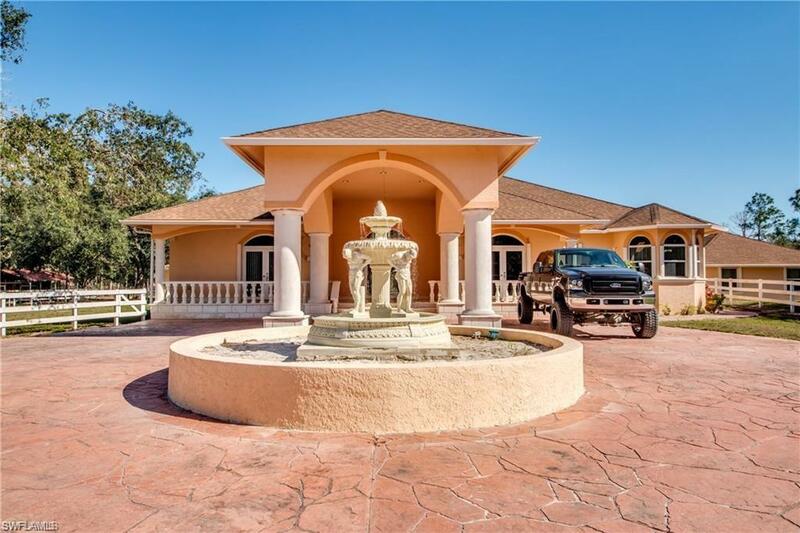 NOTHING SAYS COUNTRY LIVING WITHIN 20 MINUTES TO FORT MYERS BETTER THAN THIS BEAUTY, AS YOU ENTER YOU WILL FIND A BEAUTIFUL WATER FOUNTAIN IN THE CENTER OF THE CIRCULAR DRIVEWAY. 4 BEDROOMS 3 BATH, THEATER ROOM , 2,777 SQUARE FEET OF LIVING AREA, KITCHEN DINNING COMBINATION, PLENTY OF CABINETS, ALL STAINLESS STEEL APPLIANCES INCLUDED, INSIDE LAUNDRY ROOM, ENJOY THE UNDERGROUND POOL, WITH SPA FOR RELAXING. 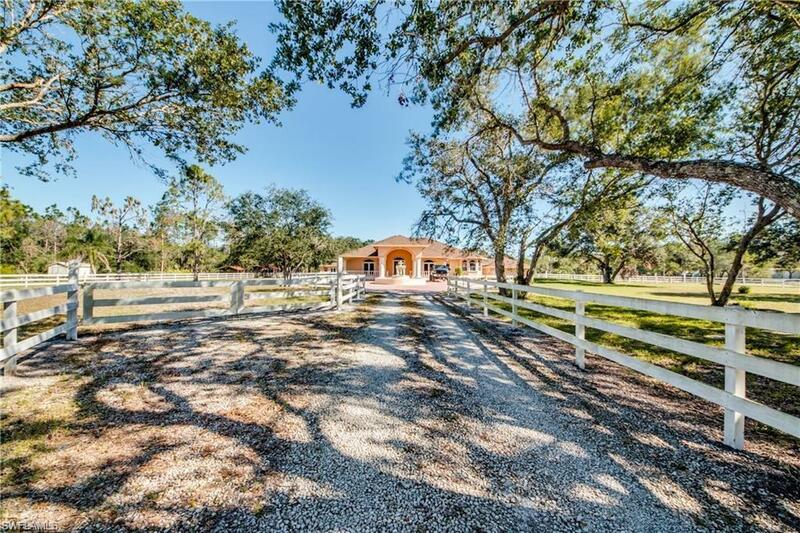 CORNER LOT COMPLETELY FENCED, HORSE BARN. AS BONUS A DETACHED CONCRETE BLOCK STORAGE ROOM. GARAGE HAS OWN ENTRANCE THROUGH TINA'S LANE SITS ON A CORNER LOT. 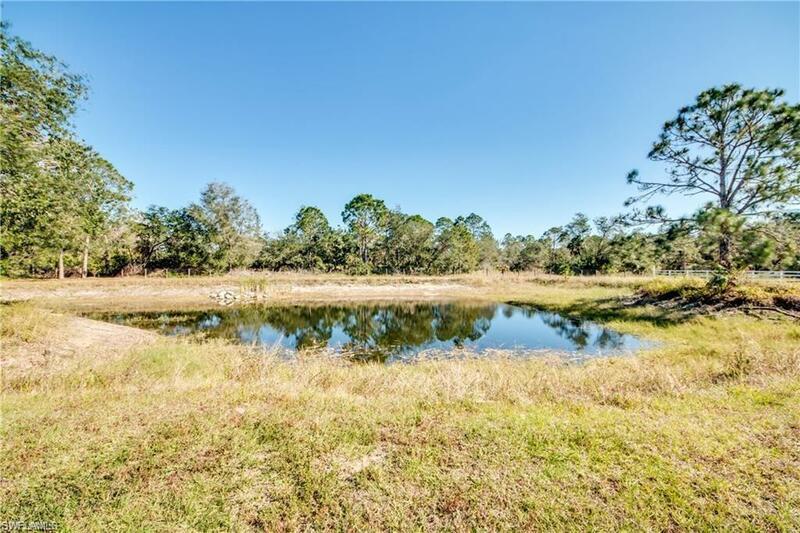 4 ACRES OF LAND, ALL CLEARED WITH A NICE POND. MAKE THIS ONE A MUST SEE. 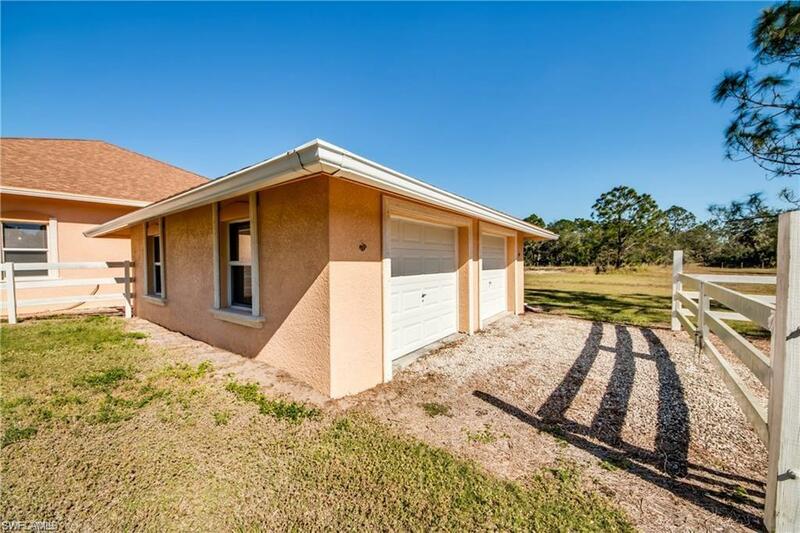 Listing courtesy of Elvira Nodal of David C. Brown Realty, Inc.